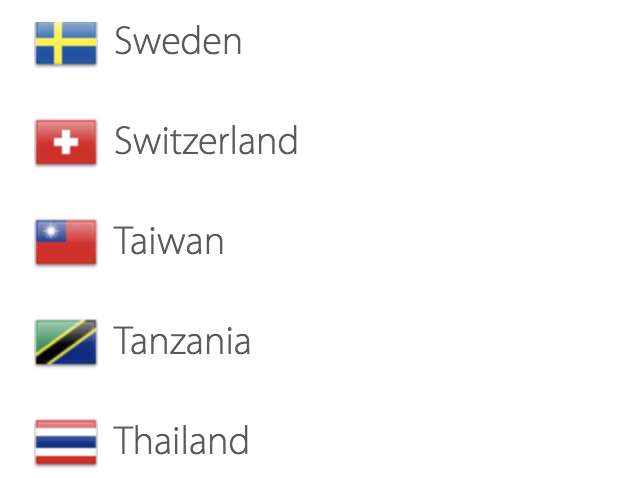 The context of how you display this flag can make all the difference; for example, do you display the flag on a global gateway with text that reads Select Country or Select Country/Region? This may seem like a trivial distinction, but Select Country could cost your company millions in lost revenues if China cracks down the way it recently cracked down on Marriott — whose website is currently taking a forced time out. Now, as I’ve noted earlier, Marriott did not display the Taiwan flag on its global gateway; this problem stemmed from a customer questionnaire that referred to Taiwan, Tibet, Hong Kong and Macau as countries. I would also not be surprised if this questionnaire was created by a third-party vendor. But the reason how it happened isn’t that important now; what’s important is ensuring that these mistakes don’t repeat — or, better yet, never happen in the first place. Marriott was not alone. Medtronic, Delta and Zara were forced to apologize for making variations of this mistake, which include referring to Taiwan as a country on the global gateway. The apparent intensification of efforts to police how foreign businesses refer to Chinese-claimed territories – even if only in pull-down menus – underscores just how sensitive the issue of sovereignty has become in a China that is increasingly emboldened on the international stage. The involvement of more than one Chinese authority in rebuking businesses across different industries suggested possible coordination at a high level of government. So what should you do to avoid a similar fate? If your global gateway is built around using flags, now is the time to leave them behind. I’ve written extensively about the many challenges and risks of using flags — on this blog, in many editions of the Report Card and in my newest book. The rewards of using flags simply do not outweigh the risks. And I’ve worked with a few dozens companies that have since redesigned their global gateways to be more geopolitically neutral. Another upside is that these resulting global gateways are typically more efficient — both in page display time as well as in maintenance. But as I write this post I know a number of multinationals — all Fortune 100 — that currently display the Taiwan flag on their global gateways. And the context of a few of them most clearly send a Select Country message — which is a message no company wants to be sending right now. If you need me to help you make the case for an immediate global gateway redesign and/or internal audit, contact me; I can bundle this in with the forthcoming 2018 Report Card.